Northwest Arborvitae was established as an urban forestry consulting firm in 1982. In 2000, after a long association with the founder, Molly Beck, Certified Arborist Tina Cohen became the new owner. The firm provides a full range of services in the assessment and management of urban area trees based on its extensive experience and the most current urban forestry research. Clients have included homeowners, municipalities, schools, contractors, developers, landscape architects, condo associations, and non-profit organizations. Tina Cohen, a Seattle resident since 1976, has an undergraduate degree from Ohio State University. She conducted her horticulture training at Edmonds Community College with continuing education at the University of Washington. 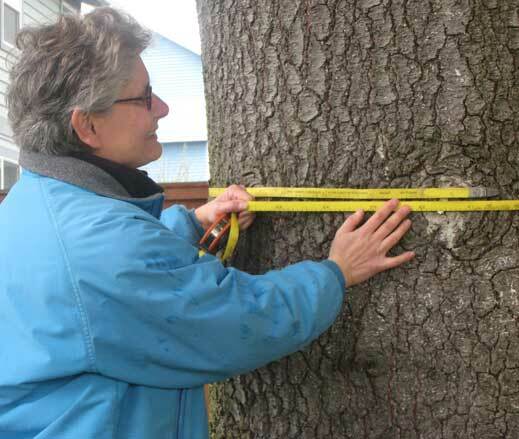 She received her arborist certification in 1992. Edmonds Community College, course instructor: "Landscape Practicum: Site Analysis." American Society of Landscape Architects, Washington Chapter: presentation, "What an Arborist Can Do For You"
Washington State Nursery and Landscape Association: presentation, "Introduction to Plant Diseases"
King County Master Gardeners Clinic: presentation "Tree Tragedies and Diagnosis"
Seattle Tree Steward Training: presentation "Tree Identification"
Association for Women in Landscaping: presentation "Plant Selection: Don't Plant Problems"
Pre-construction tree evaluation and retention planning. Techniques to preserve trees during and after construction projects. Hazard tree assessment to determine risk or safety. Tree replacement plans. For sites where trees are too damaged or not suited for retention and revegetation is desired. Problem analysis. Diagnosis of tree diseases, pests, and environmental/cultural problems. Neighbor and property line tree issues. Tree selection. Assistance in choosing the right tree for the site. Appraisal. What is the tree worth? Expert witness. Consultation for attorneys and their clients. Timely delivery of clearly written reports and plans. Listed below are examples of projects and services Northwest Arborvitae has provided. Consultation on risk, health and diagnosis, and tree selection for private residences throughout the Puget Sound area. Specifications for building or remodeling near trees, including utility installation. Consultation regarding managing trees in views and on property lines. Assistance with Critical Area code compliance, and permits for projects and restorations on steep slopes or near water. City of Medina, WA. Contract arborist providing risk (hazard) tree evaluations. City of Kirkland, WA. Contract arborist with Urban Forestry, reviewed building permits and tree removal applications. Town of Beaux Arts Village, WA. Town Arborist, provided permit review services and advised the Town Council and homeowners on tree health and retention issues. City of Seattle, WA. Arborist for Seattle Public Utilities during the construction of Cal Anderson Park. City of Seattle, WA. Preparation of a street tree inventory for the Pike-Pine corridor. City of Newcastle, WA. Determination of impacts to the existing right-of-way trees and recommendations for species selection during a street widening project. Port of Edmonds, WA. Evaluation of the marina's trees and their prognosis. Bellevue Fire Station #9, Bellevue, WA. Inventory and risk assessment of greenbelt trees prior to new landscaping and other improvements. East Lake Sammamish Trail, Redmond, WA. Preparation of tree inventory for the county's trail expansion; determination of preservation specifications in accordance with local code requirements. Global Learning and Arts Building Project, Cascadia Community College, Bothell, WA. Provision of tree evaluations prior to development; provision of protection services including ongoing monitoring during construction. Sierra Bella Short Plat, Kirkland, WA. Provision of inventory and health assessment services to fulfill requirements of the local tree ordinance. Cokoffi Condo Development, Seattle, WA. Preparation of management recommendations for the preservation of Seattle's largest Ginkgo tree during and after the construction. Lynnwood Neighborhood Parks, Seattle, WA. Preparation of tree inventory and tree quality evaluation prior to the design process. Beaver Lake Preserve, Sammamish, WA. Preparation of technical memo, including recommendations for tree protection in anticipation of the construction of trails and other park features. Clyde Hill, WA. Dispute between tree owner and famous neighbor. Provided the identification and appraised value in an attempt to save a tree during a view dispute. Overlake Group Health Site, Redmond, WA. Working with Sustainable Redmond, recommended saving the best tree groups during the transformation of this wooded site into housing. Maple Leaf Community Council, Seattle, WA. Prepared and gave testimony regarding the impacts on the existing Waldo Woods of proposed town homes. Save the Trees, Seattle, WA. Prepared and gave testimony regarding the expansion of Ingraham High School into the adjacent forest. North Sky Communications, Woodinville, WA. Provided outside expertise regarding conflicts over tree damage associated with utility installation. I grew up in a leafy suburb just outside of Buffalo, New York. Although more famous for snow, my memories of Buffalo are of huge elms and silver maples arching over the streets. By the time I finished high school in 1969 the elms were all lost to Dutch elm disease, a tragedy for a city that would spiral into decline for many reasons. My first encounter with tree care professionals was watching climbers in our massive backyard trees in the early 1970s. My professional relationship with trees wouldn't start until 20 years later in 1992 when I became a Certified Arborist in the Pacific Northwest Chapter ISA. After high school I was involved in the anti-war movement and worked with the American Friends (Quakers) counseling draft evaders. I started college as a history major but after my first year I decided to get away from the intensity of the times and switched to fine arts. I graduated from Ohio State University with a Bachelors of Fine Arts in Ceramics, and then worked as a potter and an art teacher before moving with friends to Seattle in 1976. Maybe it was the gray Seattle skies, but I had to get outside. So in the mid 80s I returned to school for a certificate in landscape design and started my own business. It wasn't really such a stretch; many potters become gardeners since essentially it's still playing in dirt (or clay or soil). My interest in horticulture came from its environmental aspect - I wanted to promote non-toxic techniques, what we used to call organic gardening. My focus changed after I took a tree biology class at Edmonds Community College taught by Molly Beck, ASCA member and RCA. She encouraged me to pursue further education and I was fortunate to take forestry classes at the local university, and seminars from legends such as Alex Shigo and Richard Harris. At the time tree care was undergoing a major rethinking away from flush cuts and topping, and towards an understanding of the CODIT model of tree physiology. It was a great opportunity, and unlike many other people at that time, I never had to unlearn old habits. I encouraged my customers to be aware of the environmental impacts of their own gardens. By this time Washington State Department of Agriculture had made Integrated Pest Management the state's official position. I obtained a state pesticide consultant's license so I could recommend an environmentally safe approach with the same credentials as the pesticide applicators. I also became an active member of PlantAmnesty, a local non-profit organization that promoted proper tree care. The turning point of my career was in 1999 when I went from part-time to full-time arboriculture. Molly called me to say that after nearly 20 years she was retiring, and did I want to buy her consulting business. I had worked for her as a field assistant on and off for many years. She offered me one year of training while she was still working, and then additional consultation during my first year. It was like a giant door opening up and I didn't hesitate. I closed my landscaping business and became the new owner of Northwest Arborvitae on January 1, 2000. What a way to start the millennium. I immediately joined ASCA and signed up for the 2000 Consulting Academy. 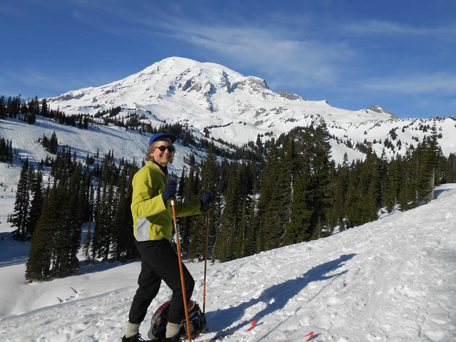 Instructors such as Russ Carlson, David Hucker, and Scott Cullen provided excellent technical guidance. I still work with many of Molly's original clients including lawyers and developers, and am grateful to her and my other colleagues for many referrals. I haven't left environmental activism behind, and as a serious birder I'm committed to preserving habitat. I've expanded my services to include assisting non-profit community groups that are trying to save trees from development. I want to thank my family and friends for their support, and the many people who directly and indirectly mentored and influenced me. 206-789-3283, 7:30 AM - 5:30 PM Pacific Time.